Announcing the Release of the SQL Server App for Procore from Construction BI, Designed to work with all Reporting Packages. 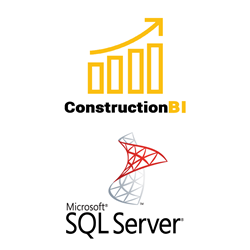 Construction BI, LLC, a data analytics company focused on the construction industry, today announced the production release of their new SQL Server App for Procore. About the App: The SQL Server App for Procore enables organizations to access Procore data in a simple and straightforward SQL database. This App is an addition to their previously released Power BI App for Procore and provides another option for organizations hoping to quickly leverage their Procore data with external reporting and integration tools. The SQL Server App for Procore is a cost-effective data access solution for those looking to create custom reports with Power BI, Tableau, Domo, Qlik, Cognos, Crystal Reports or any other SQL-compliant reporting tool. With the SQL Server App for Procore, organizations can quickly access their Procore data in an easy to use SQL Server database, without having to spend time and effort writing custom code against the Procore API’s. Clients can leverage their existing reporting toolset and build reports directly against their Procore data in a managed SQL Server database. The SQL Server App for Procore provides a robust enterprise reporting platform to explore data and gain meaningful insights into business needs. By leveraging advanced visualizations and meaningful metrics, businesses are empowered with information to run more efficiently. Procore Technologies, Inc., is a leading provider of cloud-based applications for Construction. Through Procore Construction OS, the company connects people, applications, and devices through a unified platform to help construction firms manage risk and build quality projects, safely, on time, and within budget. The company has a diversified business model with products for Construction Project Management, Construction Financials, and Quality & Safety. Procore has more than 2 million users managing billions of dollars in annual construction volume. Headquartered in Carpinteria, California, Procore has over 700 employees in offices across the globe. For more information about Procore, visit http://www.procore.com. Construction BI is a leading data analytics company focused on the construction industry. Construction BI helps organizations maximize technology investments, improve competitiveness, and differentiate services through the use of business intelligence solutions. Construction BI helps make sense of data by turning it into meaningful and actionable information. For more information on Construction BI, visit http://www.constructionbi.com.